The Sun is God! So said J M W Turner in his final breath, if we are to believe his biographers and Mike Leigh’s moving Mr. Turner (2014, reviewed here). 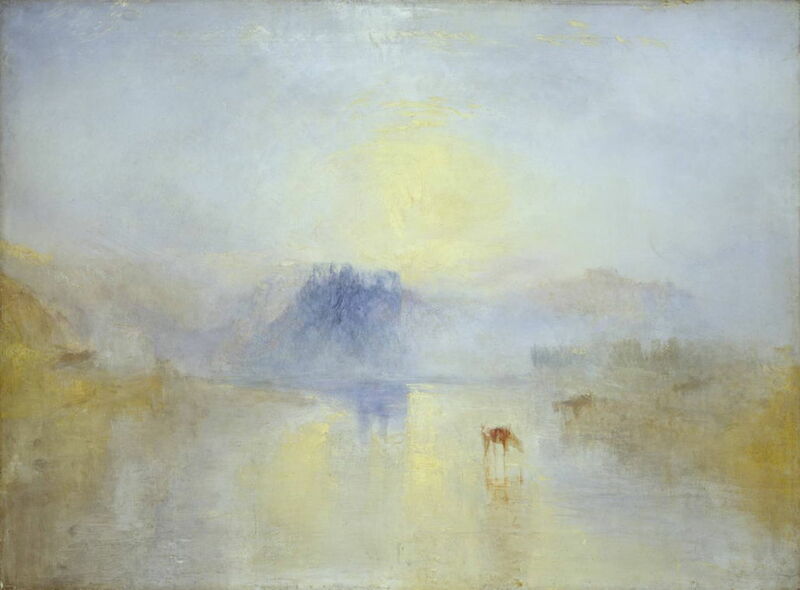 Whilst many would view Turner’s solarism theologically improper, it is hard to overstate the importance of the sun to us. Apart from its obviously central role in our cosmogeny and evolution, as we near the autumnal equinox those away from the equator are already aware of the changing seasons. In the southern hemisphere, people are looking forward to the joys of summer and its longer days; in the northern, they are wondering what the cold, dark nights of winter will bring. As the major driver to weather in the lower shell of the atmosphere, the sun is currently fuelling no less than three major (Category 4) hurricanes in the Pacific Ocean. If the mysteries of the weather in this lower shell seem impenetrable, those in the higher and more rarefied layers of our atmosphere are even more puzzling. At the mercy of the sun’s more harmful radiation, they change according to circadian rhythm, and according to the eleven-year solar cycle, associated with sunspots. Humans have been studying sunspots since Kepler in 1607, and Galileo’s pioneering observations using early telescopes. Despite having one of the longest and most detailed time series of observations, we are still unable to forecast sunspots or solar activity. For a long time it was thought that the solar cycle had little effect on life down here in the lower parts of the atmosphere, other than producing spectacular displays of the aurora for those in higher latitudes. More recently, substantial adverse effects have been observed, and some meteorologists and climatologists are pondering whether there might be stronger links with the weather which we experience down here. Solar storms can block propagation of radio waves, black out communications systems including GPS, on which we now so heavily depend, and, through geomagnetic storms and the induction of ground currents, can disrupt electric power distribution. The largest recorded geomagnetic storm, known as the Carrington Event, occurred 156 years ago, on 1-2 September 1859, long before we became as dependent on electricity as we are today. It was sufficient to cause telegraph systems to fail across the world, made sparks fly from their pylons and terminals, and its aurora was bright enough for many to read at night without any artificial light. Although we have had some large storms in more modern, and electronic, times, none has yet come close. In March 1989 one storm was sufficiently large to take out power distribution across large areas of Quebec, and in July 2012 another thought to be as large as that of the Carrington Event missed the Earth’s orbit. But so far our electronic Doomsday has yet to come. The good news is that, unpredictable though such storms are, we are now well past the period of highest risk in the current solar cycle, number 24 since 1750. Our sun should be steadily going quiet again as it tends towards the cycle minimum. You can watch sunspot and other solar activity on various websites, and using Black Cat’s excellent DX ToolBox (App Store, £10.99). The sun may not be a deity, but its awesome power breathes life into us, and can equally snuff it out, or put it on hold. The next peak in the solar cycle is likely to be in about 2025, if you want to put that into your calendar. It remains to be seen whether we will then be any better at its prediction, or whether Turner’s dying words still hold good. Posted in General, Life, Macs, Painting, Technology and tagged aurora, Carrington, DX ToolBox, solar cycle, solar storm, storm, Turner, weather. Bookmark the permalink.